Ali Bauerlein is the CFO and co-founder of Inogen, Inc. A public medical device company out of Santa Barbara, California. 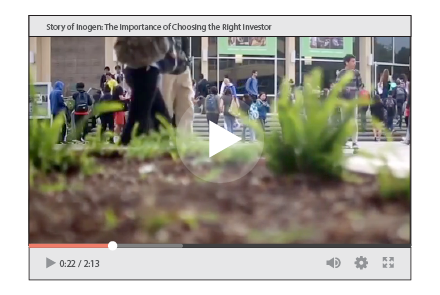 Inogen used a SecureDocs Virtual Data Room in preparation for and during their IPO. Today they continue to use the software as a document repository for their most sensitive business documents. 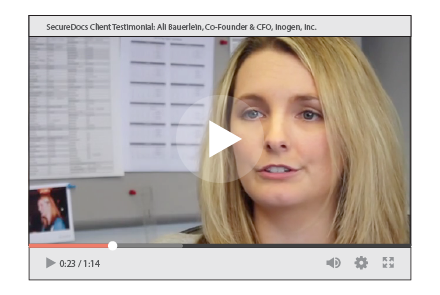 SecureDocs Testimonial: Ali Bauerlein, Co-Founder & CFO, Inogen, Inc.
Inogen used Securedocs VDR in preparation for and execution of their IPO. Ali Bauerlein, Co-Founder & Chief Financial Officer of Inogen discusses how features like the audit log gave them transparency into their partner's interests and actions, as well as how the system is useful for early rounds of fundraising as well. Confidential employee and business information needs to be kept in a highly secure space. 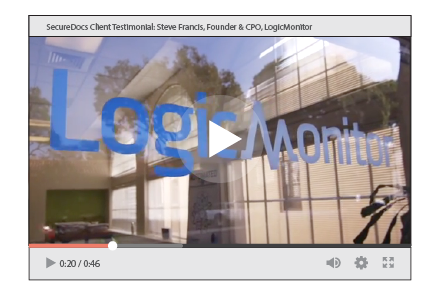 Steve Francis, Co-Founder & Chief Product Officer of LogicMonitor uses a SecureDocs Virtual Data Room as a file sharing solution, to share and store sensitive employee and corporate documentation. 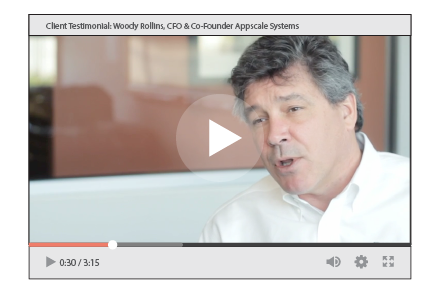 Perfect Market used a SecureDocs Virtual Data Room as their Deal Room during fundraising. Julie Schoenfeld shares with us why Perfect Market chose SecureDocs during their fundraising. 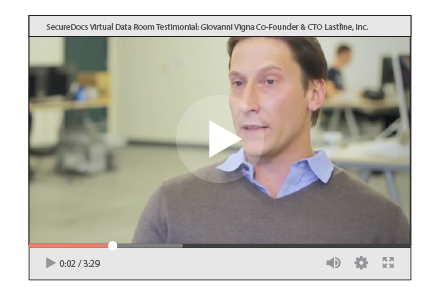 SecureDocs Virtual Data Room Testimonial: Giovanni Vigna Co-Founder & CTO Lastline, Inc.
Lastline Inc, a software platform for security breach detection, uses a SecureDocs Virtual Data Room to store and share their sensitive business documents online. Life in a startup can be challenging, but with all of the ups and downs come loads of valuable lessons, and some great stories too! 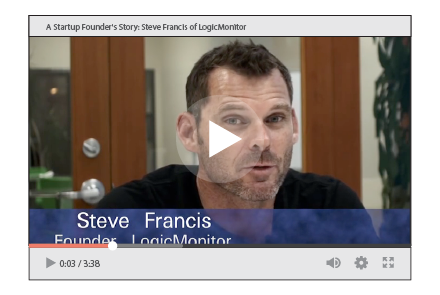 Steve Francis, Founder of LogicMonitor, a leading SaaS based network monitoring solution, shares his experiences with the growing company, and gives a few pointers on how to be a successful tech entrepreneur. If your company is currently seeking or considering venture capital funding, use this whitepaper to understand if VC is right for you, tips for finding investors, and basic principles of market validation.